8 Tips To Prevent Gallstones Formation And Avoid Surgery! Gallstones in the gallbladder can lead to some uncomfortable and painful symptoms, such as severe abdominal pains. They develop when cholesterol and other minerals form into small “stones”. These small stones harden and can end up lodged in your bile duct, causing extreme pain. For severe problems, the gallstones may need to be surgically removed. It will do you well to know these tips and prevent gallstones formation before it’s too late. To prevent the need for surgery, follow these 7 tips for preventing gallstones, including the best foods for avoiding gallstones. Staying properly hydrated is the cornerstone of good health. It provides so many different health benefits, such as helping to keep your gallbladder hydrated and full of enough bile and fluid to prevent gallstones from forming. Read: How much water you need to drink daily. Excess consumption of calcium can cause calcification of stones in the organ and cause inflammation. Excess calcium in the body cannot be properly assimilated due to the lack of an important mineral—magnesium. Eating foods that are high in fats and sugar also cause a magnesium deficiency. In the presence of magnesium, calcium can be effectively used by the cells to reduce inflammation, calcification and the risk of stone formation. Magnesium can be taken in the form of supplements, obtained from magnesium-rich foods or having Epsom salt baths. Natural Calm is a magnesium supplement that I personally use and trust, and have recommended to my clients. Higher amounts of vitamin C can limit a woman’s risk of forming gallstones. As with the calcium, if you do not get enough vitamin C in your diet, then start taking a supplement with at least 1000 milligrams of vitamin C a day. Vitamin C is a potent antioxidant that helps neutralize free radicals and reduce gallstones formation. If you’re not eating enough fruits and vegetables that are orange in color, such as oranges and other citrus fruits, papaya, carrots, squashes, then you are not getting enough vitamin C. If you want to supplement vitamin C, opt for one that comes with bioflavonoids. Nature’s Way is a brand I can trust and they made it right. Avoid high-fat diets that are transfats, which can cause your gallbladder to create more bile and cause irritations if you already have developed gallstones. Consuming the right kind of fats can help supply your body the fats it requires. Some examples of beneficial, healing fats are from fresh avocados, cold pressed olive oil, grapeseed oil, coconut oil and flaxseed oil. Too much sugar can promote the formation of gallstones. In fact, you should limit your consumption of sugar for other health reasons as well. Cutting back on sugar can improve your metabolism and your digestive system, which can offer an additional level of protection against gallstones. Regular fiber consumption keeps your digestive system functioning properly. Include a bowl of raw vegetable salad in your daily diet for insoluble fiber that acts as a “broom” to clean out the digestive tract. Here are some tips to make your salad interesting. The food that you eat is the biggest factor in your overall health and in helping you prevent various medical conditions. The final tip for preventing gallstones is to pay attention to what you eat and try to include more healthy options in your diet. Take a look at the foods below, for some ideas of foods that are known to help prevent gallstones. Adding the right foods to your daily meals could help prevent gallstones. For example, drinking fresh fruit and vegetable juices with a high alkaline and antioxidant content helps to detoxify your liver and your gallbladder. This will greatly reduce your risks of developing gallstones. Lemons, tomatoes, celery, apples, and beets all have beneficial nutrients and antioxidants that will prevent inflammation and set the stage for proper gallbladder function. Apples, which can easily be juiced, contain malic acid that helps soften or break down gallstones so that they may be passed out easily. Another option is to add more turmeric to your meals. 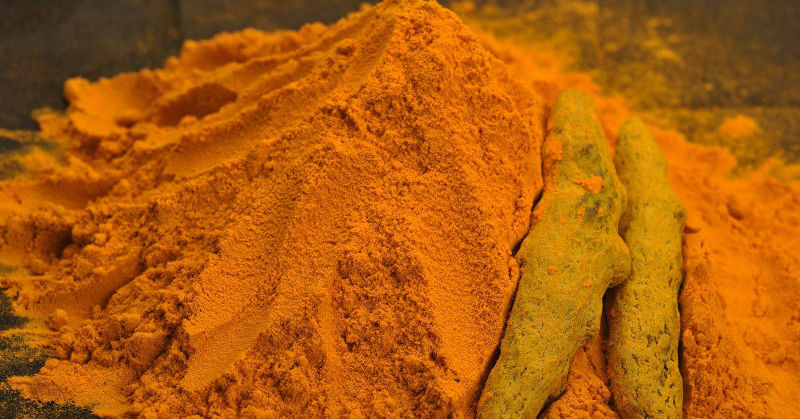 Turmeric powder is a spice that contains strong antioxidants. Turmeric can increase the ability of your bile to break down substances that could potentially form into gallstones. The main thing to remember when choosing foods for preventing gallstones, is to avoid processed foods. Sugars and flours found in processed foods increase your chances of developing gallstones. Remember to drink lots of water and follow the other tips provided for cutting down on your chances of forming gallstones. How Do You Know That You Have Gallstones? Prevention is always better than cure. But, how do you know if you have gallstones? 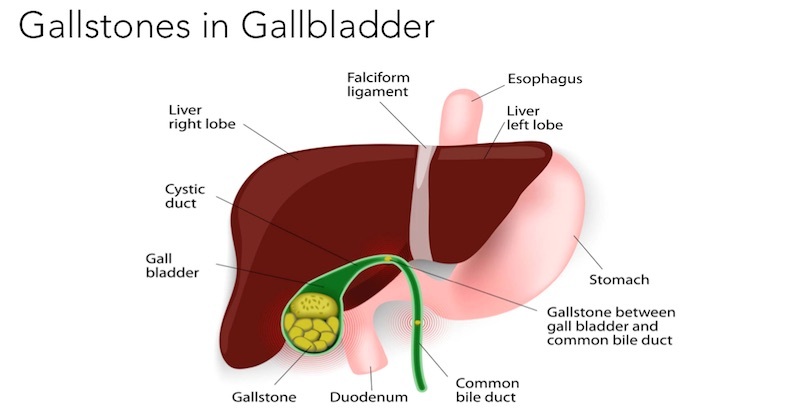 Go to this page to see the symptoms of gallstones, they are subtle but accurate signs that a gallbladder flush is in order. The same page will take you step-by-step to perform a gallbladder flush to get rid of the stones. Then, see your health soar!